These transmitters are good. They seem to behave in a mostly normal manner, having a few quirks now and then. 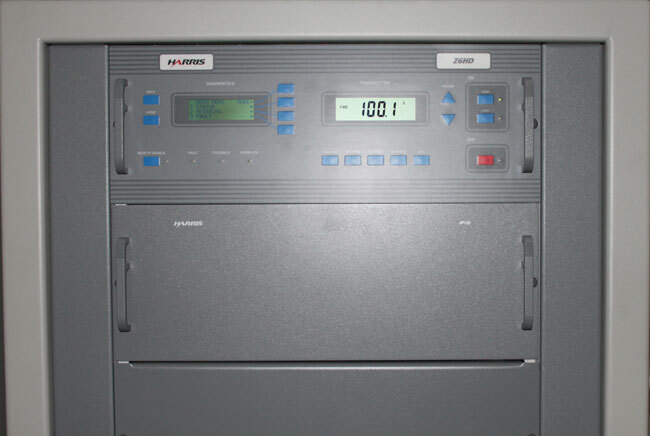 This particular unit is installed at WFAS-FM in White Plains NY. I believe the reason for the installation was for the HD Radio® that was in it. The Deathstar HD Radio® exciter is in the next rack over. No further comment needed. On this day, the transmitter had given up, throwing a main fan fault. The fan (blower) motor had been replaced in the last six months (on a transmitter that is only five years old), so it was not that. As it turns out, the stock fuses; 10 amp, slow blow, were just a little bit underrated for the job. Harris released a service bulletin a few years ago calling for 15 amp slow blow fuses as replacement. In any case, it was an easy fix and now there is a box of 15 amp slow blow fuses in the transmitter next to the fuse holders. 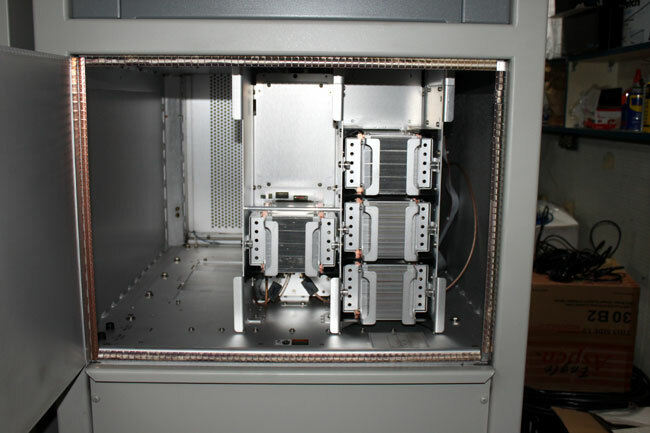 The modules are accessible by the front and rear of the transmitter. These doors can be opened with the unit is on the air, since all of the high voltage is in the bottom of the transmitter where the blower is located. Module in the middle is the IPA. Each module has two RF amps, each RF amp has two devices (BLF-177). The devices are field replaceable, however, on the HD models, one has to make sure that the amplifiers are still linear. On the non-HD models (Z6CD), this is not a problem at all. Shorted MOSFETS will be noted by a fault of one entire power supply. 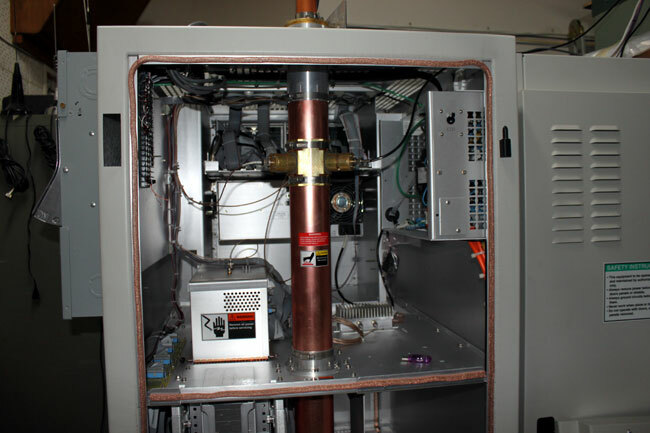 Removing the bad RF module will allow the transmitter to run at somewhat reduced power. Finding the bad module may take a bit of trial and error. 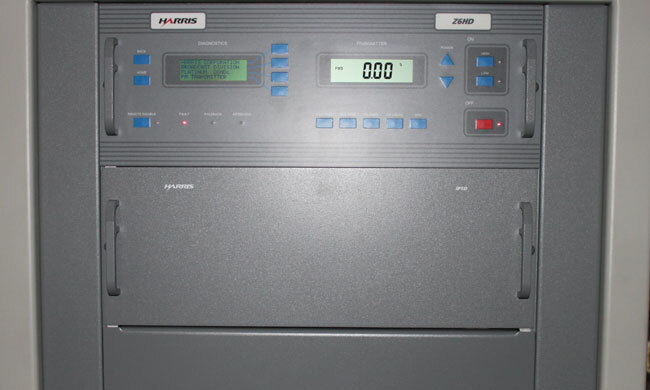 The back of the transmitter has the directional coupler, low pass filter,access to the back of the analog exciter, controller and remote control connection points. The power supply in the bottom of the transmitter has multiple taps, each on with its own fuse. These can be a bit of a chore to work on. There is also a ribbon cable that goes from the controller to the power supply board. This is directly in the path of the cooling fan and can flop around causing the conductors in the cable to break. The result is the power supply may not come on, or may show an unbalanced power supply condition (in the case of a three phase transmitter). Very difficult to diagnose. Here it is, running again.